Myspace is a social networking service with a strong music emphasis. It contains a large collection of songs and music videos. Listening to music on Myspcace is really enjoyable. However, there aren‘t any download entrances for you to watch Myspace video offline and what if you only want to rip and save the music on your local disk? Don’t worry. Just read on to learn how to convert Myspace to MP3 with ease on Windows and Mac. Actually, downloading and converting Myspace video to MP3 format is very easy if you pick the right tools. Aimersoft YouTube Downloader is highly recommended to carry out the process of ripping music from Myspace videos. 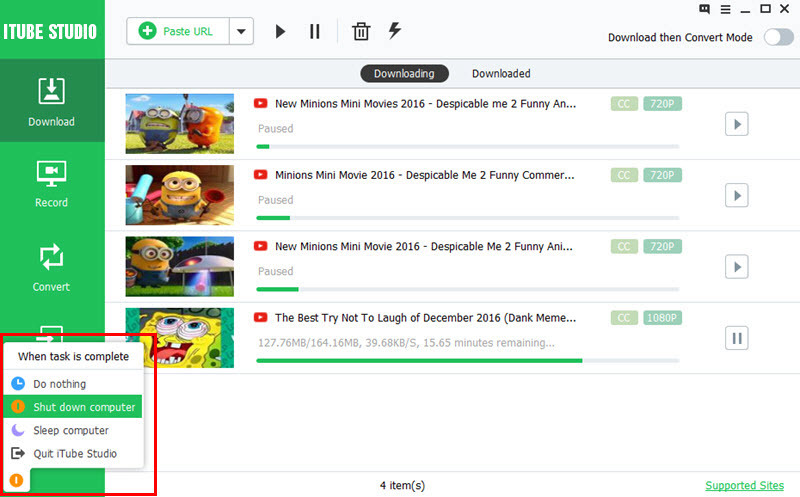 It combines online video downloader with video/audio converter, with which you can download any video from various video sharing sites like YouTube, Hulu, Myspace, Blip TV, Metacafe, VEVO, Vimeo and more and then extract audio from the downloaded files and save as MP3 format (or other format like WAV, MKA and M4A). What’s more, it can convert the downloaded Myspace videos to any format, including MP4, WMV, AVI, MOV, M4V, 3GP and more. For Mac users who are seeking for Myspace to MP3 converter that runs on Mac OS X (Mavericks included), please turn to Aimersoft YouTube Downloader for Mac. With this multifunctional tool in hand, you can download Myspace video, convert Myspace music to MP3 format, play Myspace videos with built-in media player. The tutorial below is taking the Windows version of Myspace music ripper as the example to show you how to download Myspace video and then extract music from it and save as MP3 format with ease on Windows (Windows 8 included). Mac users can also follow the same tutorial. Download and run Aimersoft YouTube Downloader. 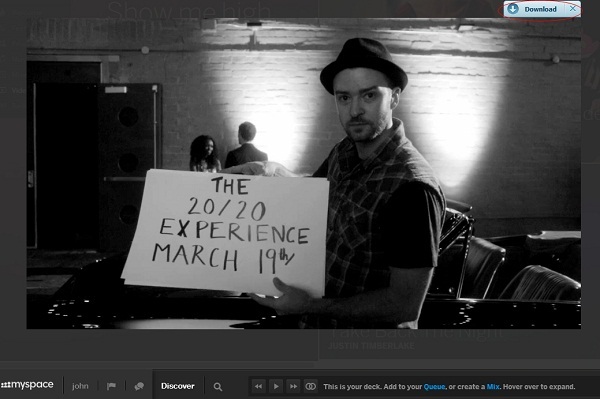 Open Chrome, Safari or Firefox to land on myspace.com to search for the music video you want. Just play and watch the video as usual. If you are using Windows version, you can click the Online Video menu on the top of the program to visit Myspace via the built-in browser. When you play the video, there will pop-up a Download button on the top right corner of the video window. Click on it and the music video you are watching will be downloaded automatically. Tips: There are two other ways to download Myspace videos. One is to copy the video URL and click the Paste URL button on the top left corner of the program. Mac users can also drag and drop the video URL to the program to start downloading. Switch to the Finished tab and then click the Convert button next to the target video. In the window for Output, select Format > Audio > MP3 as the output format then click OK to start the conversion. 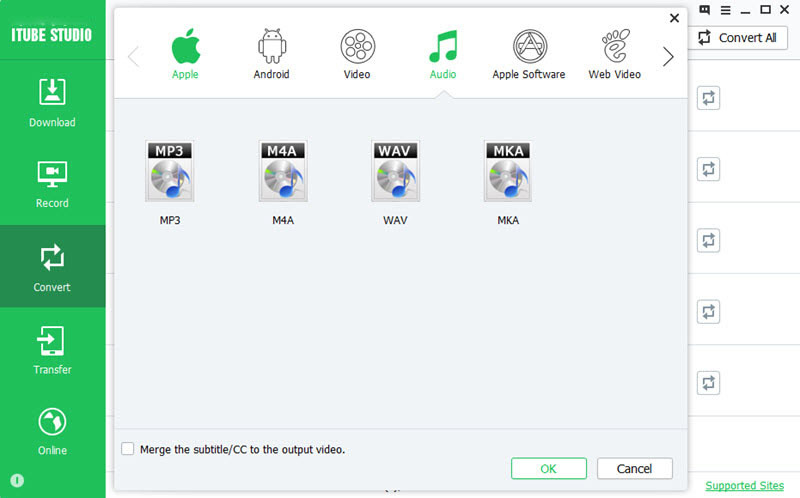 Tips: Aimersoft YouTube Downloader also offers many other output format options like M4A, MKA and WAV. Optimized presets to fit mobile devices like iPhone, iPad, PSP, Xbox 360, etc. are also provided. Download and convert online videos from a wide range of popular video sharing sites like YouTube, Vimeo, VEVO, Hulu and more.